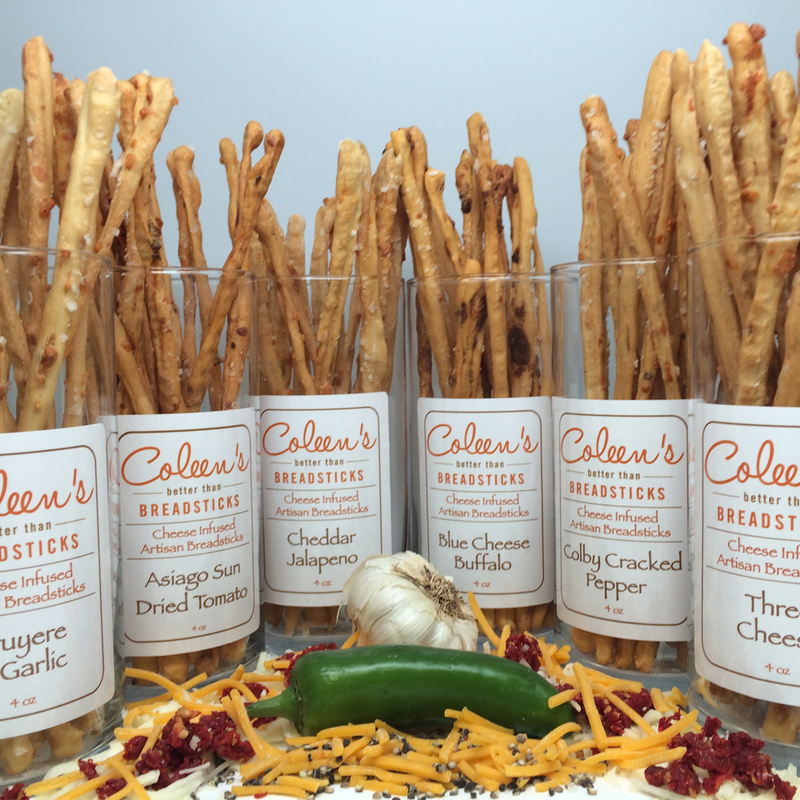 Coleen’s Better Than Breadsticks are locally produced in the Chicagoland area. Using her knowledge as a Maitre Fromager (Cheese Master), Coleen has transformed the ordinary breadstick into a tasty work of art. Each flavor pairing offers a unique taste that truly represents the ingredients that complement each other and each breadstick is hand cut and hand stretched to perfection making each breadstick a one-of-a-kind!